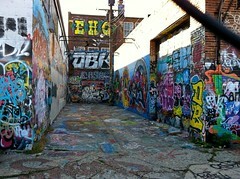 The L shaped alley is home to an ever-changing array of graffiti, and is the only legal spot in Baltimore for graffiti. The building that forms the alley was originally the Load of Fun gallery, but was recently bought by a contractor. 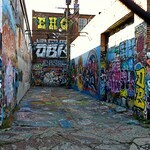 The spirit of the alley remains, however, and offers graffiti artists extended time to finish their art works.